People who begin drinking before the age of 15 are four times more likely to develop an alcohol use disorder than those who started drinking at age 21. Alcohol or aka (booze, Brew, Sauce, and Juice) is an intoxicating ingredient found in beer, wine, and liquor. It’s produced by the fermentation of yeast, sugars, and starches. Alcohol effects include slurred speech, impaired judgement, coordination, injuries, risky behavior as well as memory problems. When teens consume alcohol it has an alarming effect on the body and brain. There is a common misconception that alcohol is an “UPPER” (stimulant) but in reality, it’s a “DOWNER” Alcohol is a depressant, which slows down your central nervous system –including your ability to think clearly and breathe. Many peopleare surprised to learn what counts as a drink. The amount of liquid in your glass, can, or bottle is not necessarily equal to how much alcohol is in your drink. No level of drinking is safe or legal for anyone under age 21, but unfortunately, many teens drink—and they often drink multiple drinks, which is very dangerous. Research shows that parents are the #1 reason youth decide not to drink alcohol underage. 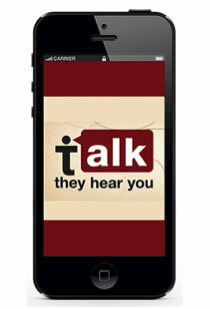 The Substance Abuse and Mental Health Services Administration’s (SAMHSA’s) “Talk. They Hear You.” campaign aims to reduce underage drinking among youth ages 9 to 15 by providing parents and caregivers with information and resources they need to start addressing the issue of underage drinking with their youth early. Support your kids and give them space to grow. Use “natural” opportunities such as dinner time or while doing chores to start open, honest conversations. Show that you disapprove of underage drinking. 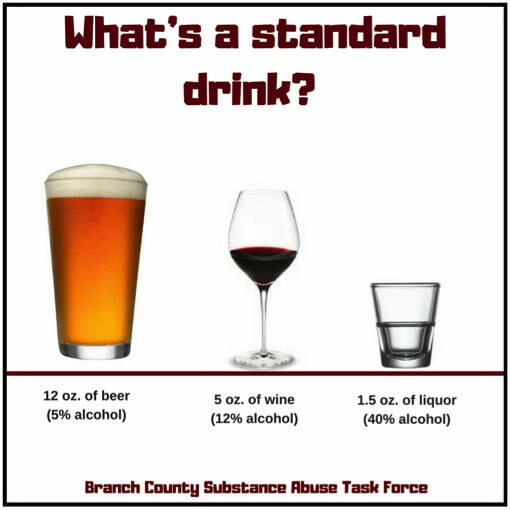 The Branch County Substance Abuse Task Force collaborates with local law enforcement agencies and youth, under the age of 21, to ensure that local alcohol retailers stay complaint with not selling alcohol to minors. The BCSATF also provides local retailers with educational material and signage from the state for their establishment.